HS7 solenoid valve flange connection, operate indirectly applied in industrial refrigeration industry to control the flow of refrigerant. When the power supply to the coil, due to the differential pressure across the valve piston opens insole allows refrigerant flow. When power is lost, the spring will close the valve with Teflon soles of back and stop the flow of refrigerant in the direction of the arrow on the valve body. This valve design is ideal when Vietnam offers applications such as solenoid valve standards, reserves and NH3 Service provider. 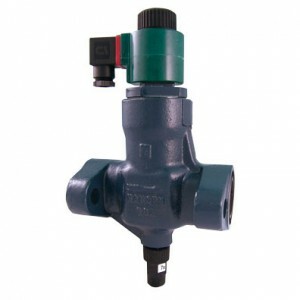 Often used for NH3, this valve is also suitable for R22, R134a and other refrigerants. This valve is used to disconnect the automatic dissemination service road, balance service recirculate the indoor unit, the throttle, hot gas defrost and the compressor suction line.